Thanks for the idea. I've so many of these bags (which were given to me) that I do not know what to do. That is an excellent idea. Come fall, can we grow lettuce here or any cool loving plant? I am fairly new here so don't know. 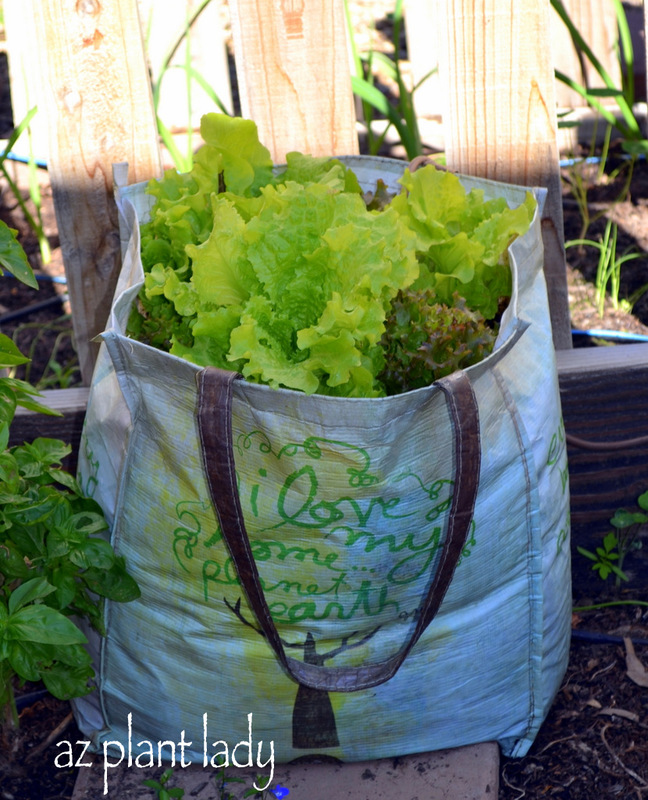 I would recommend using any type of leafy cool-season vegetable in the grocery bag, which includes kale, Swiss chard, spinach and leaf lettuce.